The abyss is looming. It seems like just yesterday when I picked seven teams primed for improvement in 2013-2014. All 30 teams were 0-0 and anything could happen. Flash forward to right now. The San Antonio Spurs and Miami Heat, last year's NBA finalists, are both one win away from an old-school versus new-school rematch. Many teams are already in the midst of devising strategies for the stacked NBA Draft (June 26) and free agency (July 1). Let's see how my selections fared. All in all, I'm pretty satisfied. My seven Offseason Winners notched 37 more wins than they did in 2012-2013. I even was right on the money about the Los Angeles Clippers reaching the Conference Semifinals, the Indiana Pacers taking the East, and the Houston Rockets capturing a higher seed in the West. Some of my other selections, however, crashed and burned. Let's find out what went wrong. The Cleveland Cavaliers were 24-58 in 2012-2013, but I predicted that the team would take a big leap forward because of A) having All-Star point guard Kyrie Irving fully healthy, B) adding another top pick in Anthony Bennett, and C) having assembled a nice mix of promising youngsters and experienced veterans. Sure, the Cavaliers picked up some more wins (then again, there was a lot of tanking going on), but everything about them screamed 'dysfunctional'. Their defense flat-out sucked, Dion Waiters and Andrew Bynum were troublemakers on and off the court, and No. 1 pick Anthony Bennett had an historically bad rookie season. The outcome? Chemistry issues. And no more Chris Grant. And no more Mike Brown. Some way, somehow, though, the Cavaliers ended up with the No. 1 overall pick for the third time in four years. The youth movement continues in Cleveland. The team added another No. 1 pick in surprise selection in forward Anthony Bennett. He joins All-Star and former Rookie of the Year Kyrie Irving, the team's other No. 1 selection, former No. 4 picks Dion Waiters and Tristan Thompson, and former No. 17 pick Tyler Zeller. 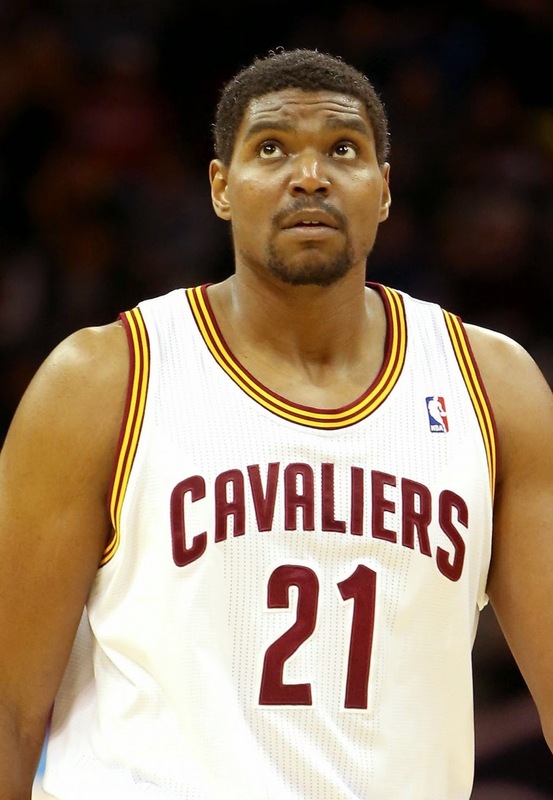 Rebounding dynamo Anderson Varejao (who played just 25 last season but was recently cleared to play), guard C.J. Miles and forward Alonzo Gee also remain on the roster from last year. Role players Wayne Ellington, Marreese Speights, Shaun Livington and Omri Casspi were replaced by Warriors sparkplug Jarrett Jack (12.9 PPG, 5.5 APG and .404 3P% in 2012-2013), Lakers standout Earl Clark (7.3 PPG and 5.5 RPG in 2012-2013) and Andrew Bynum, who missed all of last year with the 76ers and settled for a relatively modest contract. He averaged career-highs of 18.7 PPG and 11.8 RPG with the Lakers in 2011-2012. No. 19 pick Sergey Karasav and No. 33 pick Carrick Felix should see limited minutes. And of course, lest not forget the Brooklyn Nets. This team mortgaged their future when it shipped every worthwile asset plus the kitchen sink to Boston for Paul Pierce, Kevin Garnett, and Jason Terry (later flipped into Sac-Town's Marcus Thornton). Unfortately for the "all-in" Nets, a lot of things went wrong. Rookie head coach Jason Kidd hardly ran any plays. Kevin Garnett grew ancient almost overnight, averaging career-lows across the board in capped minutes. Star point guard Deron Williams was hindered by lingering ankle injuries. Andrei Kirilenko was limited to 45 games. And, of course, starting center Brook Lopez was lost for the season with a broken foot after just 17 games. Sure, the Nets made the NBA Playoffs as a sixth seed, even 'upsetting' the young and inexperienced Toronto Raptors, but they merely served as training practice for the Miami Heat in the Semfinals. Well, maybe they can use the NBA Draft to improve. Oh wait, they can't. 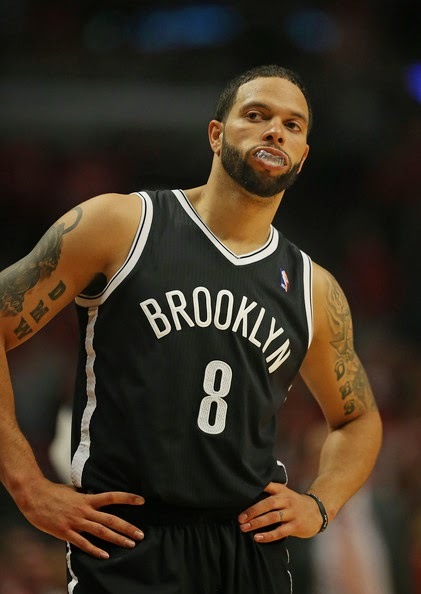 To make matters worse, $100 million man Deron Williams reportedly wants out of Brooklyn. Yikes. What were your expectations for the 2013-2014 season? Were you disappointed by certain teams?